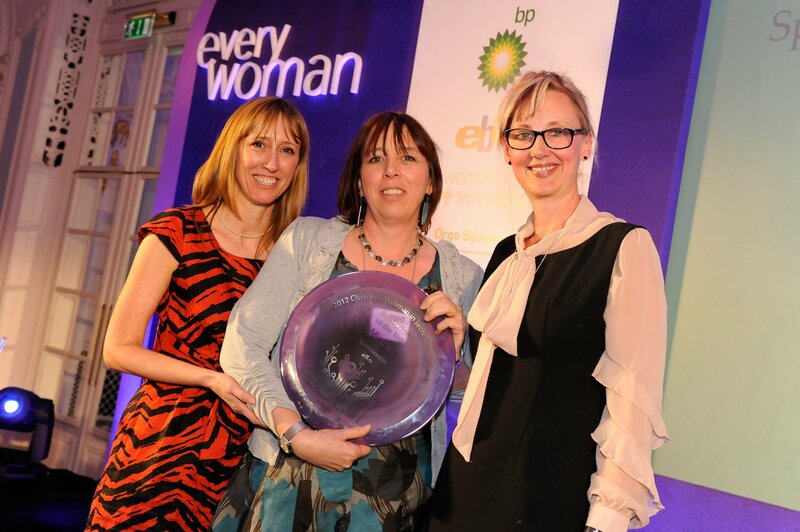 Winner Gillian Arnold, director of Tectre, along with Annemie Ress, global head of people innovation at eBay (category sponsor) and everywoman co-founder Maxine Benson. Gillian worked at IBM for over 20 years before setting up Tectre, an IT services and staffing consultancy in 2010. She is passionate about supporting and encouraging women in technology, has created a Woman’s Netwrok, chaired the Woman in IT Forum for Intellect and sits on the board of BCS Women. In addition to being a regular speaker, she is also a keen mentor.